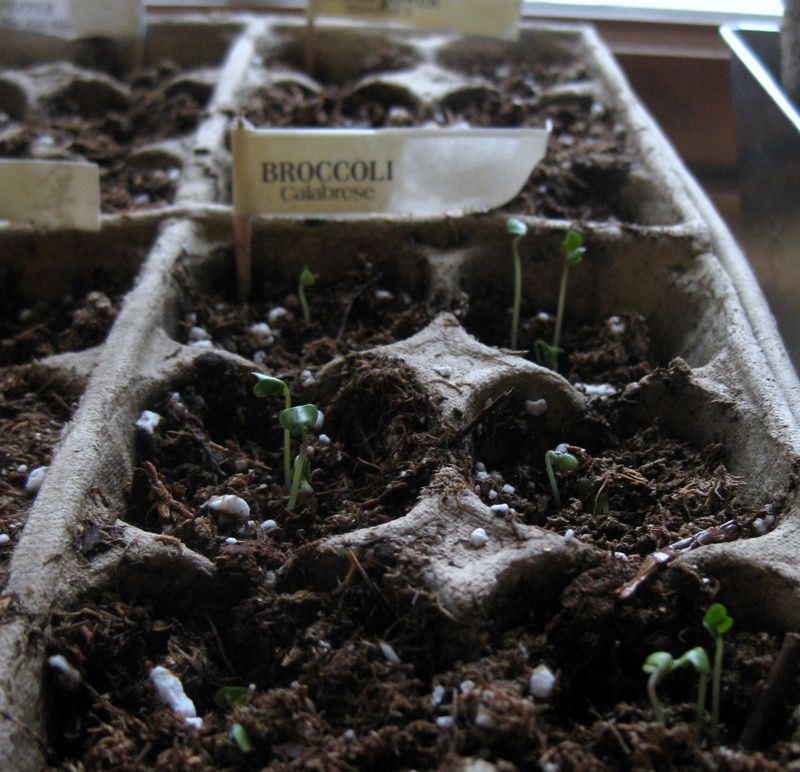 I planted several varieties of herbs and veggies last weekend. 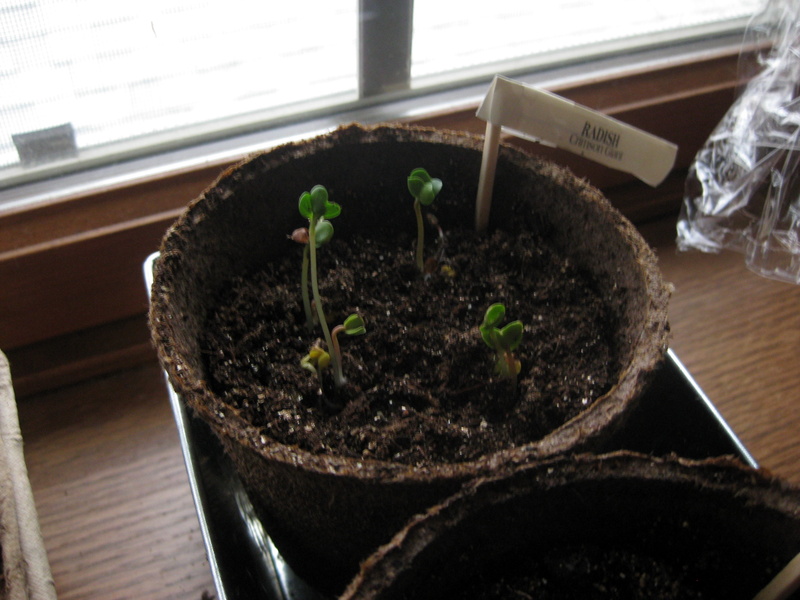 And, here we are, 4 days in, and I have baby radishes and broccoli sprouts. Please welcome them into the world, and wish them luck. I haven’t decided where I’m going to plant them, yet. More than likely, I’m going to plant them in containers on my porch; however, there’s an outside chance that I will plant them by the square foot method. Check it out. It’s pretty great. I just need to secure a location that’s close by. Hey – you’re welcome to use some of our yard if you want, we’ve been think of doing a garden with this method…but i hear (and see!) around here you compete with deer so you’d have to rig net walls or something! There’s always a home for your plant babies at my place. Let me know if they’d like to relocate to something larger than a clay pot on your porch.